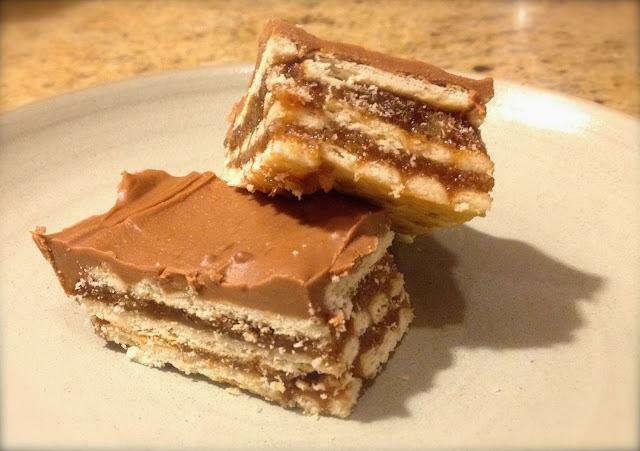 One of my relatives used to make these for Christmas when I was little and I loved sneaking them throughout the day. The sweetness and little bit of salt from the crackers makes such a yummy treat. I love that these come together fairly quickly and there is no baking involved! I saw a recipe for them a couple years ago on pinterest and was so excited to make them for myself (as opposed to sneaking them off cookie trays three at a time during our Christmas celebration). 1. You'll need Club crackers, 1 cup butter, a sleeve of graham crackers, brown and white sugar, butterscotch and milk chocolate chips, and peanut butter. 2. 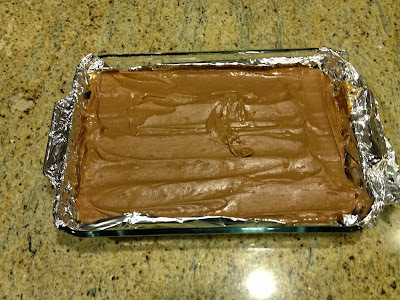 Line a 9x13 pan with foil making sure it extends on both sides. This helps get the crunchers out when they are all done. 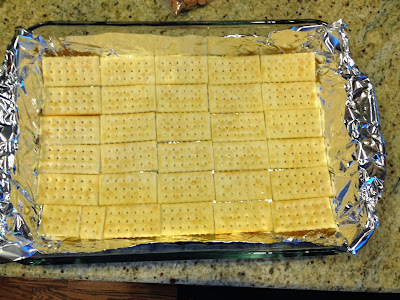 Line the pan with a layer of Club crackers, breaking to fit if needed. 3. Melt butter in small saucepan. 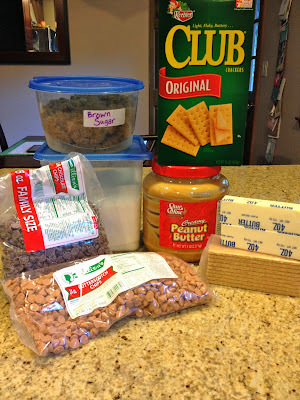 Add a sleeve of crushed graham crackers, 1c. brown sugar, 1/3c. sugar, and 1/2c. milk. Bring it to a boil over medium heat and let boil for 5 minutes while stirring constantly. 5. In a small saucepan, combine peanut butter, chocolate chips and butterscotch chips over low heat. Stir constantly until mixture is melted. Spread over crackers and refrigerate until hardened. 1. Line a 9x13 pan with foil making sure it extends on both sides. This helps get the crunchers out when they are all done. 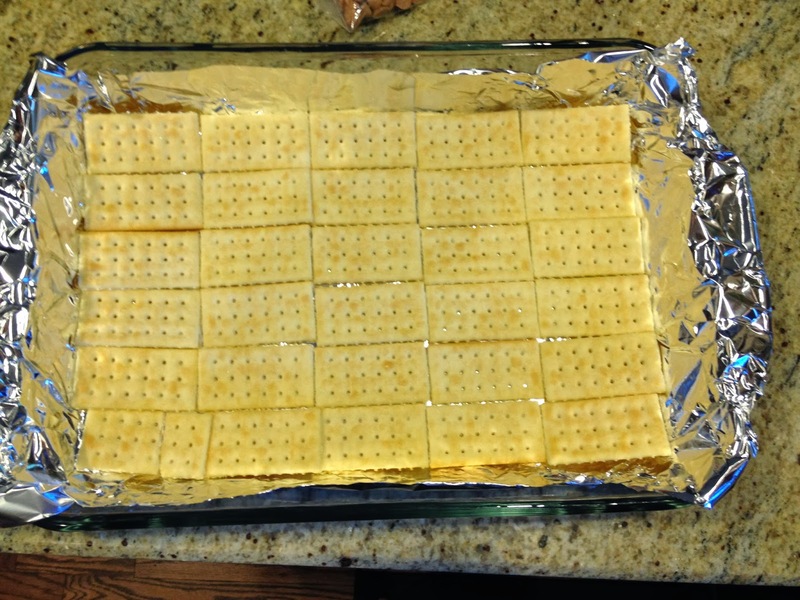 Line the pan with a layer of Club crackers, breaking to fit if needed. 2. Melt butter in small saucepan. Add crushed graham crackers, brown sugar, sugar, and milk. Bring it to a boil over medium heat and let boil for 5 minutes while stirring constantly. 3. 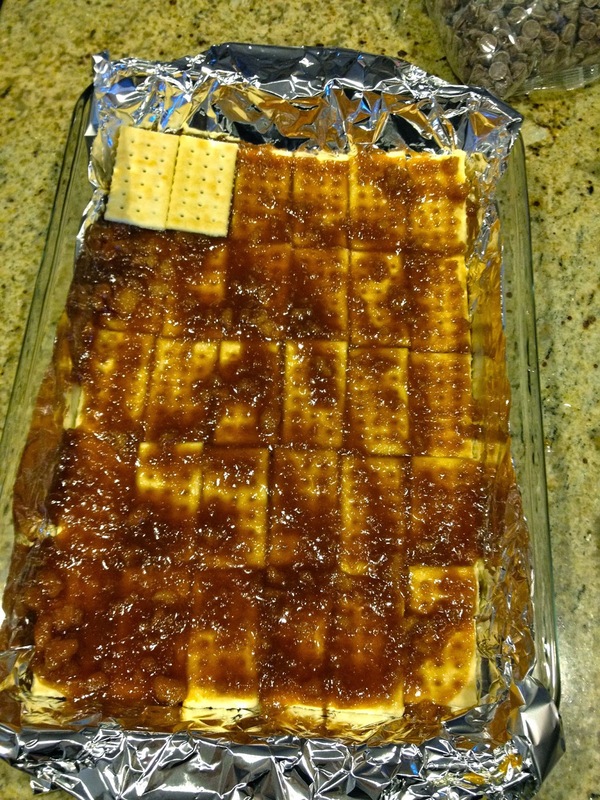 Spread half of mixture over the first layer of crackers. 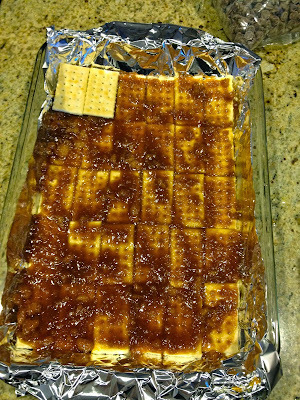 Place another layer of crackers on top and spread the remaining butter and sugar mixture. And then a final layer of crackers. 4. 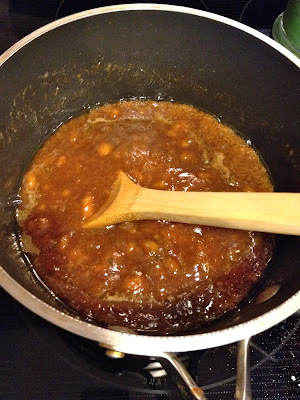 In a small saucepan, combine peanut butter, chocolate chips and butterscotch chips over low heat. Stir constantly until mixture is melted. Spread over crackers and refrigerate until hardened. Lift from pan using foil and cut into bars. 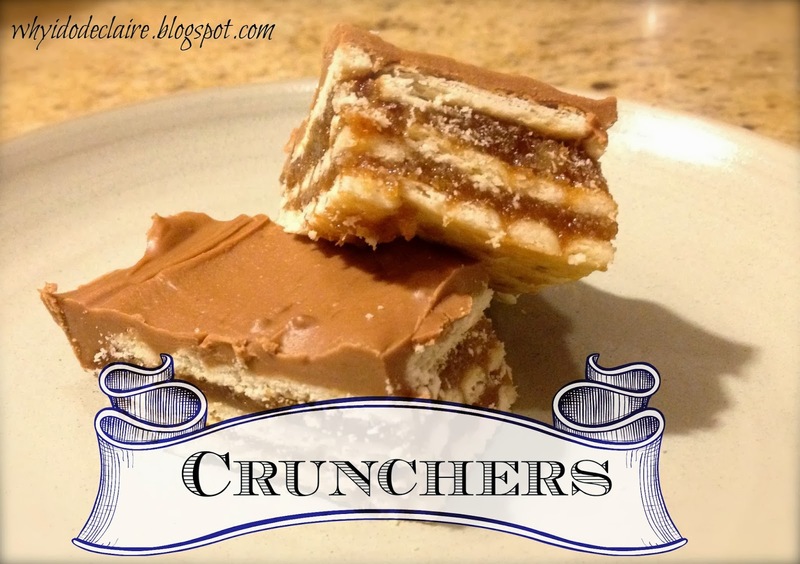 Yummy crunchers OMG. They look and sound delish! I am sure you could! 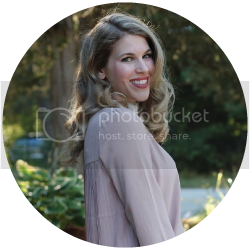 They are so yummy they were gone by the time this post went up! They are addictive! I love the salty and sweet taste in them!